*New Store Opening Promotion. Limited time only! Applicable to all branches. 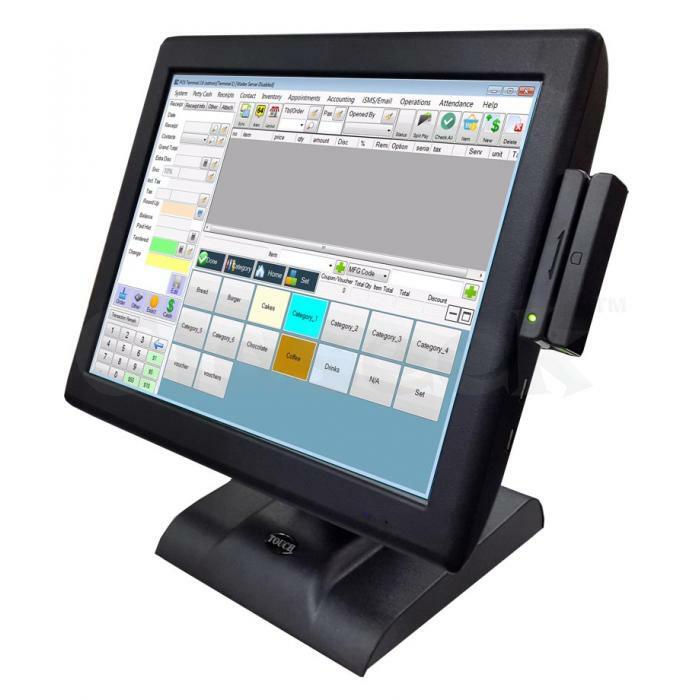 POS Market 15 inch All in One Touch Screen POS Terminal is an epocal POS system that fulfills all your visual and functional demands. This much anticipated all-in-one POS system features sleek and stylish exterior with piano gloss finish, giving your counter a refreshing and elegant look.